Ornamental shrub, variable in size and habit, with lignotuber. 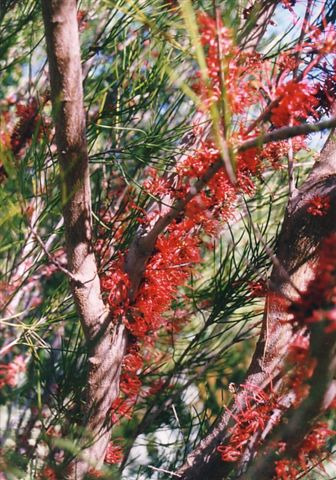 Bright orange-red profuse flowers in winter. 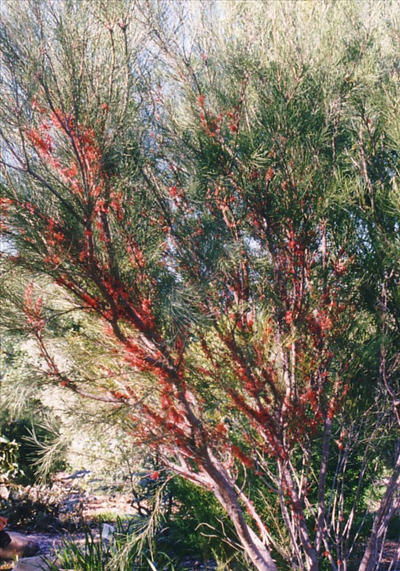 Outstanding species for hot dry areas or coastal climates. Requires well-drained soils in full sun or light shade and great bird attractor.